People are essential to your organisation, and in terms of finding and looking after top talent you recognise that salary, benefits and working conditions are real deal breakers. You know how far you can go to secure the services of the perfect candidate and you'll want your organisation's biggest assets to feel highly valued, totally motivated and happy to remain loyal. It's no coincidence that the companies with the best Health and Wellbeing strategies are attracting the best employees - and retaining them! Bad working habits when using computers, laptops and tablets are a major cause of absenteeism in the workplace. Adopting good posture, sitting comfortably and being active at work not only makes employees feel better, but it helps them work better and stay healthier for longer. So with targets to meet and corporate objectives to deliver, there's never been a better time to make sure your employees are performing to their full potential by sitting comfortably and adding regular periods of movement to their working day. "A new way of working for the better"
We are all too aware of just how much of our day is dedicated to work! For many of us this means spending hour after hour sat down. By paying careful attention to our back, wrists and neck - and supporting these key areas with quality ergonomic products and good working habits, we can add more movement to the working day whilst adopting better posture in between! There are plenty of things we can do to be more active at work, like using the stairs instead of the lift, visiting a colleague to personally deliver a message instead of emailing them, or standing up when using the phone. Or to really encourage a disciplined cycle of motion throughout your working day you could consider a sit-stand working solution. By working actively, employees will be healthy and more focused, sustaining higher energy levels and experiencing better levels of concentration at work. This then leads to a boost in performance and the ability to achieve more in the same time with less effort! 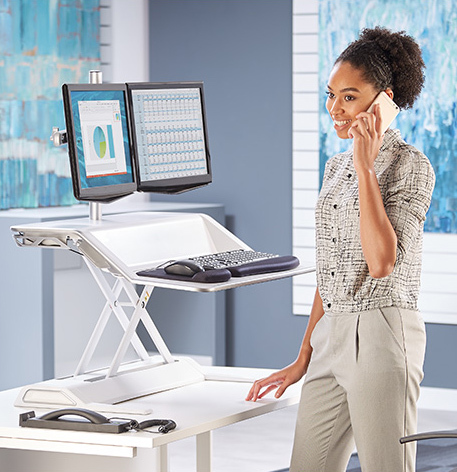 Connect workspace with wellbeing using the Fellowes 4 Zone Approach® in all desk-based environments. Bad habits and workstation risks are causing employee pain and discomfort and compromising performance. 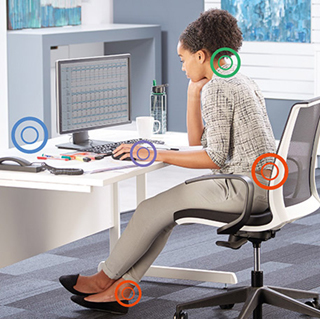 To make it easier for you to choose the right ergonomic solutions for you and the way you work, Fellowes has developed the 4 Zone Approach® to healthier, active working. 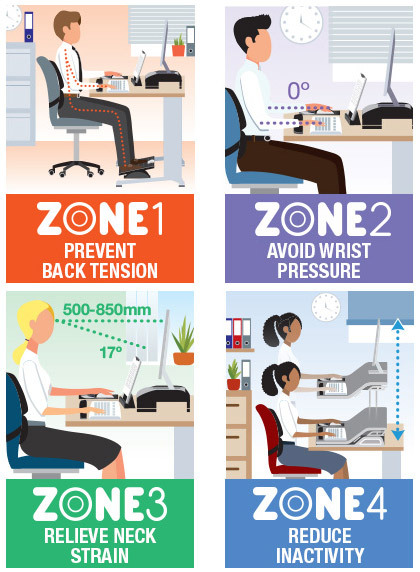 The Zones pinpoint health hazards and promote good posture across four key areas, for healthy working best-practice whether in a corporate office, home office or mobile work environment. Remember, the workstation layout should fit around the user rather than the user trying to fit around the workstation. The sequence to the Zones is based on the European Health & Safety legislation which states that adapting the workstation to meet the individual's needs should start with the chair, followed by hands, eyes and the rest follows. It's a legal requirement for all businesses (EU Directive 90/270/EEC) to undertake regular Workstation Risk Assessments to ensure its employees are working in safety and comfort - whether they're in the office or out of it. Over 17 million employed Europeans work from home (and that figure is growing every year! )2 - and yet 75% of European businesses are unaware they have a legal requirement to ensure their employees are working healthily outside the office3. Get your results in 5 minutes! Employees can discover for themselves how well they are working by taking Fellowes NEW Actively Working Well Assessment. It's highly detailed, designed in accordance with EU Directive 90/270/EEC, yet only takes around 5 minutes to complete for your personalised result. Read customer reviews of our products or write a review and share your feedback. 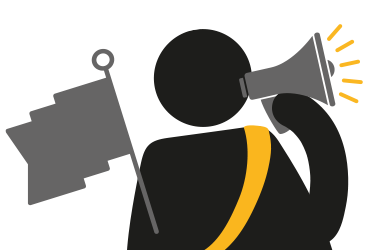 Register your new Fellowes product online today.